These turn of the century lights had several names: barn lights, gas station lights, or simply commercial or shop lights. They'd fit right into a cottage, garage, or Early American period home, too. 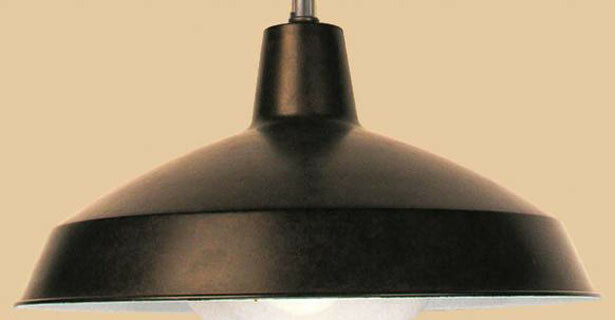 Although we sell the complete fixture as a wall mounted light or ceiling light, we've had a number of requests for shades only, for those customers restoring an existing light. Shade measures 15" in diameter. 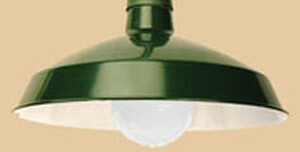 Plastic bulb shield and light fixture are not included in this part number.